Homemade black hair color is the best. However, in our busy schedules, we cannot afford to prepare the lengthy mixtures and then wait for hours to turn the grey hair black. So the best is to go for the readymade natural and the best black hair color marketed by some of the leading brands with promising results. A good quality hair color can save you from potential damages along with giving lasting results. It does not impose any kind of damage to your hair cuticles and quotes the upper part of your hair instead of penetrating within the hair follicles. The best is to prefer natural hair dyes that are skin friendly and enriched with several nourishing benefits. In order to color your hair black from grey, you can either DIY everything or visit expert artisans. Different hair colors have to be applied in a different way. Hence, carefully read the instructions mentioned in the packages to get the best results. Expert hair colorist ensures that they focus on the key areas of your hair. They color each strand of your hair evenly and also protect your scalp from getting in contact with the hair dye. 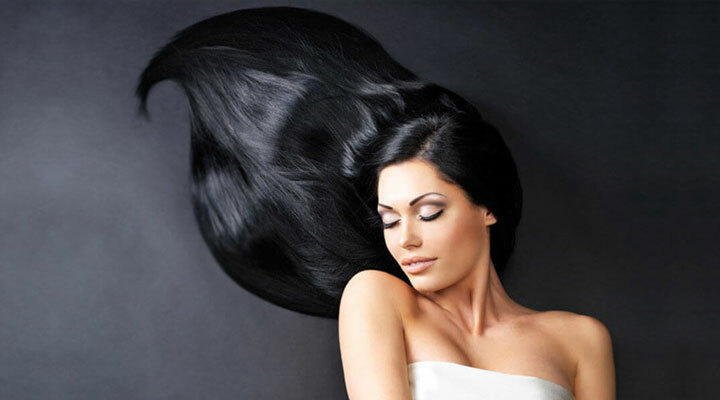 However, the best black hair color can be managed at home even with the basic knowledge of hair coloring. The natural extracts protect your hair against damages and result in Shiny hair that is indeed smooth and soft to touch. 10 Best baby shampoos for adults – No more tears for grown-ups! What are the advantages and disadvantages of using hair color? Priced at rupees 349 for 10 pieces of 15 ml each, the instant Ammonia free hair dye gives natural black Shine within just takes 5 minutes. The Ayurvedic properties of the hair color protect your hair against Harsh pollutants, hair loss and hair damages. The natural black hair dye for men is available at 13% discount on Amazon.in. The original price of the product is 685 whereas it is available for just 590 so that you can get your hair colored without pinching your pockets. The product covers up Grays immediately and makes you look really young and sober for a substantial amount of time. One of the bestselling hair colours for men gives you the desired black shade within just a single application. The long-lasting hair colour sets you free from repeated hair coloring hassles. It has the ability to last up to 2 months once applied. No Ammonia and no peroxide formula of the best black hair color gives you pampered black colored hair which shine out of healthiness. Your greys wont to trouble you any long as the new formula manages the most rough hair texture and replaces them with good quality black Shine without posing any threats to your health. Available at rupees 400 on snapdeal.com, you cannot get more graceful packing of any hair color than this. Perhaps one of the best hair colors has all the capacity to cover your greys and give you a pampered and commendable hair texture. The semi-permanent hair dye promises to give you natural black Shine through the Henna ingredient. Forget about chemical agents coloring your hair black. With the new and the best black hair color dye in form of Shagun gold natural Indigo powder can Give you Salon touch to your hair without any expert help at all. Again one of the best black hair colors to go for is ovesa natural Indigo powder available on Snapdeal at just 299 rupees. The Popping black color which can be achieved through a salon treatment is now available in your hands. You can create an Illusion of hair natural black hair that Shine even in low light. Marketed by Malaika Arora , streax has recently come up with Ammonia free hair dye range. You can spot the product all over the internet as well as in a general store near you. With a budgeted and a branded black hair dye from streax, you can always stay party ready and Brag your Swag all over. The creamy texture and high shine can be only availed with the Shine tonic of BBlunt hair coloring dye. Available at rupees 169 on amazon.in, The Salon like finish is not possible at home. Go for the Ebony black shade of the L’Oreal casting crème gloss and get your grey covered as evenly as possible. Perhaps one of the best black hair colors that I have personally ever come across is L’Oreal Paris casting crème gloss. No wonder you see Aishwarya Rai promoting the product. After all celebrities too have their image linked to with the product quality. Godrej has been promoting its hair color through Celluloid advertisements for quite many years. Give a try to the Godrej color soft hair color today and get rid of the aged look that has arrived before time. If you don’t want to colour your hair on a span of every 2 months, go for the permanent solution in form of Schwarzkopf essensity. Instead of spending around hundred bucks every month, simply pay 449 rupees and get your hair colored black permanently. Khadi products are primarily marketed by Amazon and Snapdeal E-Commerce sites. The company is particularly known for its natural and high quality products. So if you don’t want to give a try to any fake black hair colors, go for the Khadi herbal hair colour priced at just rupees 187 with a Wholesome discount of 15% on amazon.com. The multitasking hair colour not only covers your greys but also protects your hair cuticles and evacuates any kind of hair weakness or split ends at a single go. Even the most promising hair color can leave your hands all black and hair texture tattered. So the best is to check out whether your skin is tolerant enough for the hair dye or not. A patch test would let you know whether applying a particular hair color is safe or not. Also, make sure you don’t have any scratches or cut marks on your scalp before applying the hair color. Consult a dermatologist in case any negative reactions are witness. Use color protective shampoos so that your color lasts longer and good quality hair texture is maintained. I like the Schwarzkopf Ammonia-free one – nice to know that one carcinogenic ingredient is out. Always wanted to know about the disadvantages actually. I was wondering if white hair increases when you use dye to cover a few white hair. What a great list! You listed at least 2 brands I use. Thanks for this extensive list. Can you tell me which ones (if any) are vegan and/or cruelty-free? Thanks! ? Ovesa indigo powder is vegan, pure and 100% organic. Yes , also cruelty free. Why does it have more disadvantages? Well, its good to go for the best. nice and interesting.